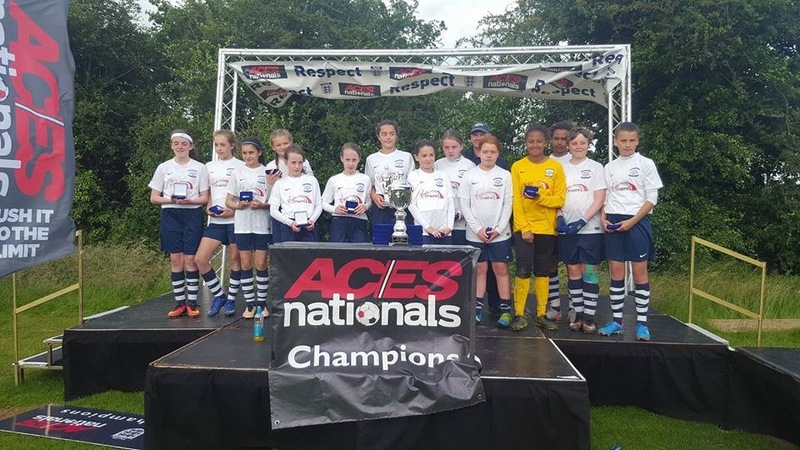 U12s and U14s invited to prestigious ACEs Tournament! 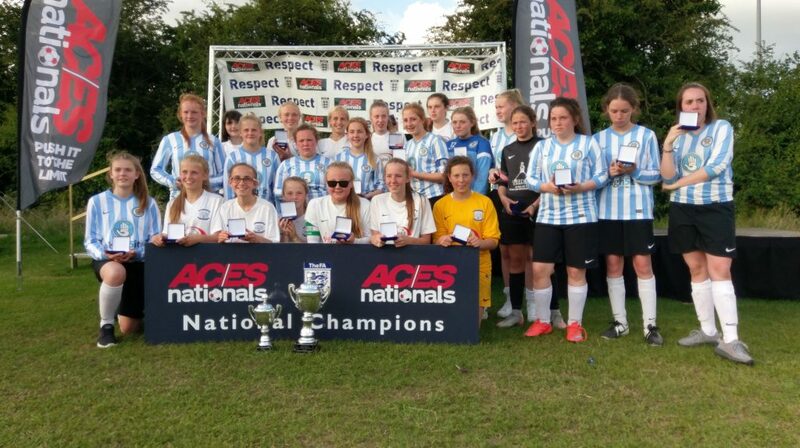 Following a very successful campaign in the 2015/16 season with both teams achieving League and Cup doubles and the U14s also winning the Lancs County Cup, each team received an invite to play in the prestigious preseason Tournament known as the ACES Nationals but in the age groups U13s and U15s as representatives of the town of Preston. This tournament played in Leicester is an invite only Tournament. It is considered to be one of the best Tournaments at grassroots football that brings together teams from all around the UK. The teams invited are considered to be amongst the best teams in their region and represent their town at the Tournament. The quality of the opposition was shown in the results with the now U13s and U15s winning both their quarter-finals and semi-finals on penalty shootouts after both teams finished top of their groups. The Finals were both very tense games with the U13s unfortunately losing 1v0 in the final minutes of the game to 3 times winners of the Tournament Washington AFC. 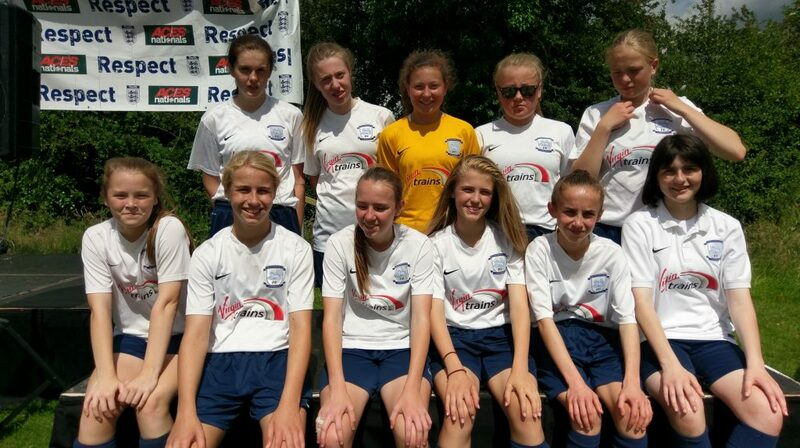 The U15s fared better winning their Final, again on a penalty shootout, against a very good Bedlington Bulldogs team representing Newcastle. All of our coaches were very impressed with the Tournament and the quality of the football on show which in turn provided the girls with a fantastic football experience. As you can imagine our Club, coaches and parents are extremely proud of the girls’ achievements this year which is down to the hard work and commitment of everyone involved.